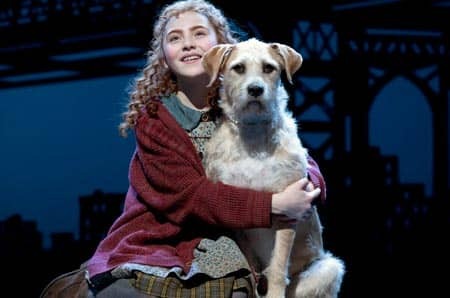 Annie the musical on Broadway is a revival of a successful musical from the 1970’s. “It’s a hard knock life,” who can’t sing along to this heartfelt song sung by the little red-haired orphan? When it first opened on Broadway in 1977, Annie the musical captured the hearts of many and ran for almost 6 years. In the spirit of Broadway revivals, it was only a matter of time before Annie would soon find her way back to the stage. With hits like “It’s a hard knock life,” and “Tomorrow” Annie still manages to capture the audience – more than 35 years later! The story has changed little, although some of the characters have been updated a bit. Annie is a young red-headed orphan with a mind of her own. She lives in an orphanage run by the alcoholic Miss Hannigan (who happens to hate children) from which she manages to escape. During her adventures on the streets she finds an adorable dog who she names Sandy. Unfortunately, her escapade is cut short as the police are sent out to find her – sent of course by Miss Hannigan. 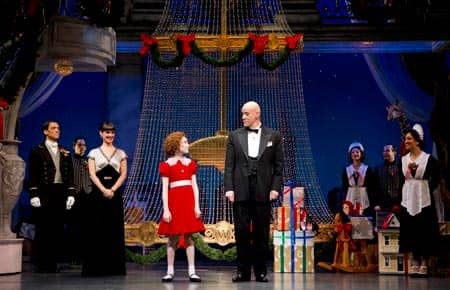 On the other side of the city billionaire Oliver “Daddy” Warbucks is advised to take in an orphan during Christmas to soften his image. 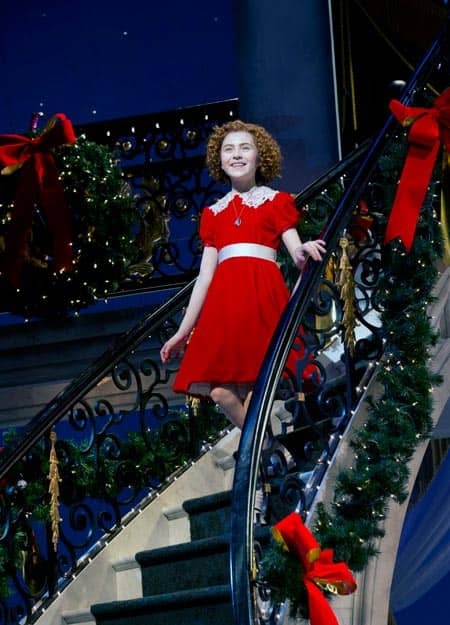 Annie is chosen as the lucky orphan and a relationship between Warbucks and his assistant Grace forms. Together they pledge to find Annie’s real parents. Note: The show is performed in the Palace Theatre and you are able to pick your own seats. Location: the theatre is easy to find as it’s near Times Square. Check your voucher for the address.